Most airbases have boundary walls but not every yard of these is monitored 24×7. Sentry posts are 300 to 400 metres apart. Electronic surveillance has come into in vogue but is still not employed across all airbases. During the 1965 India-Pakistan war, Pakistan went ahead with a bold and unconventional plan to neutralise the Indian airbases close to the international border. At around 2 am on September 6, around 180 commandos of Pakistan Army’s Special Services Group (SSG) were airdropped by three C-130s near the Indian airbases of Adampur, Pathankot and Halwara. The plan was that after destroying fighter aircraft and putting these bases out of action, the commandos would ex-filtrate back to Pakistan through the numerous rivulets and nallas that dot the area in Punjab. After the upheavals of 2014, wherein the government faced a sustained street campaign from some opposition parties for the better part of the year, 2015 was a relatively stable year for domestic politics. Ironically, the improvement in government-opposition relations came after the country witnessed the worst terrorist incident in its history – the attack on the Army Public School in Peshawar, in which 132 children lost their lives, in addition to staff and other personnel. 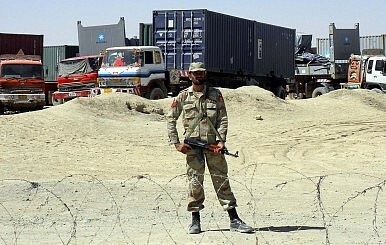 The incident, which had significant repercussions in terms of Pakistan’s response to militancy, its relations with Afghanistan, and domestic law enforcement, cast a pall on the first few months of the year, with widespread shock and horror being expressed across the country and internationally. Political parties, civil society groups from across the spectrum, and the media, all demanded decisive action from the authorities, who responded by lifting the moratorium on the death penalty the day after the attack, and intensifying the ongoing military operation, or Zarb e Azb as it is named, in the North Waziristan region. 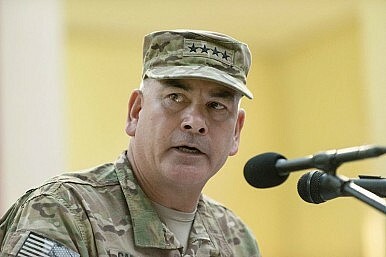 While the Afghan National Defense and Security Forces (ANDSF) have kept insurgents from achieving their strategic goals in 2015, their performance was uneven and several shortfalls will persist beyond 2016, the commander of U.S.-Forces Afghanistan, General John F. Campbell, said on February 2 in a testimony in front of the U.S. House of Representatives Armed Services Committee. General Campbell, who also commands NATO’s Resolute Support Mission, noted that capability gaps persist in air power, combined arms operations, intelligence collection and dissemination, and maintenance. “One of the greatest tactical challenges for the Afghan security forces has been overcoming the Afghan air forces extremely limited organic close air support capability,” Campbell noted, while admitting that NATO has started to focus on building up Afghan airpower quite late. Australia’s air force chief said that China now challenges “nearly all” Australian surveillance flights over the South China Sea. Air Marshal Leo Davies toldSydney Morning Herald that the number of Chinese warnings to routine Australian patrols had increased, a byproduct of an increasing Chinese presence on disputed islands in the area. The nature of challenges – radio broadcasts warning aircraft to leave the area – had not changed, much less escalated, Davies emphasized. The frequency however, has. 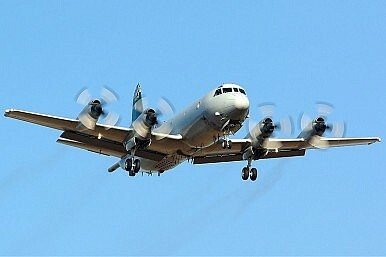 “Nearly all” flights in the South China Sea were now being challenged by China. Davies attributed the rise in warnings to China’s island building and construction activities: “Because the Chinese have done the [land] reclamation, there is a greater Chinese presence,” he said. “[W]herever we go on our normal Gateway patrol, we now find that there is an increasing number of locations where the challenge would occur,” Davies continued. He was referring to the “Operation Gateway” maritime patrols Australia routinely conducts in the North Indian Ocean and South China Sea. 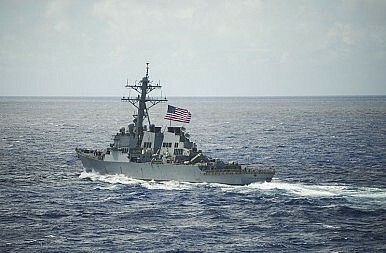 Davies acknowledged that Operation Gateway had recently seen a “slight increase” in patrols of the South China Sea relative to the Indian Ocean. The Diplomat‘s Ankit Panda and Prashanth Parameswaran discuss recent developments in the South China Sea, including the recent U.S. Navy freedom of navigation operation (FONOP) in the Paracel Islands, ASEAN’s role in the South China Sea, and the differences between the October 2015 and January 2016 FONOPs. 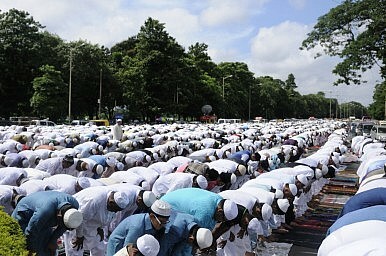 For The Diplomat‘s coverage of the latest FONOP, see here and here. For some of the international legal background on the FONOP, see here. For more analysis of the recent FONOP, see Gregory Poling’s post at at the Center for Strategic and International Studies’ Asia Maritime Transparency Initiative here and Julian Ku’s Lawfare post here. Vivek Kaul speaks to Satyajit Das, an internationally respected commentator on financial markets, credited with predicting the current financial crisis. He has also featured 2010 Oscar-winning documentaryInside Job. They speak about Das’s new book The Age of Stagnation-Why Perpetual Growth is Unattainable and the Global Economy is in Peril. In this interview, Das talks about China and tells us what is really happening in there. Vivek Kaul : On page 65 of your new book The Age of Stagnation you write: “Half of the investment in China since 2009 has been ineffective.” What makes you say that? Satyajit Das: China’s growth especially after 2008-2009 was driven by a massive debt fund investment boom. A good proportion of this investment can be classified as ‘mal investment’ i.e revenues projects where revenues will be insufficient to cover the borrowing or generate adequate financial returns. The bulk of investment has been by SOEs (state-owned enterprises) in government-backed infrastructure projects – the tiegong-ji (meaning “iron rooster”), a homonym for the Chinese words for rail, roads and airports. WASHINGTON: The US Army must play a larger role in the Pacific to deter China, one of DC’s leading defense experts is telling Congress today. That larger role requires politically and fiscally difficult decisions to build new kinds of units and base them in new places,Andrew Krepinevich told me in advance of his Capitol Hill briefing. The core of Krepinevich’s vision: Army missile batteries — for anti-air, anti-ship, missile defense, and long-range strike — regularly deploying to, or even permanently based in, West Pacific nations. Those allies could contribute crucial ground forces themselves, each according to their capabilities. Japan has its nascent coastal anti-ship batteries. The Philippines could build a state-sponsored irregular defense force, one that takes tactical and technological lessons (but not ethical ones) from Lebanon’s Hezbollah. China has often had satellite imagery used against it as it built artificial islands in the South China Sea. This week, though, it’s China’s turn: a Chinese media outlet, China Youth Net, is using satellite images to enjoy some schadenfreude at Vietnam’s expense. 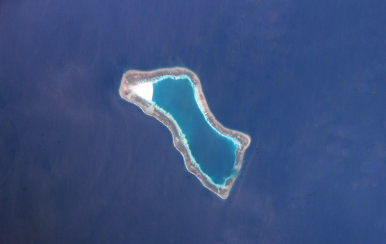 First, the site points to the satellite imagery as evidence that Vietnam “illegally” constructed artificial islands on “China’s Nanhua Reef,” one of the disputed features in the Spratlys (known as Cornwallis South Reef in English). China Youth Net said Vietnam had dredged up sand and built two “man-made islands” in the South China Sea. In the images, a trench (purportedly causing by Vietnam’s dredging) is clearly visible in the water around the feature. However, the article then claims most of the sand was finally washed away by the ocean – “because of Vietnam’s low technological level” during the reclamation process. As evidence, China Youth Net provided satellite images of two unnamed reefs, from August and December 2016. In the December photos, much of the landmass has indeed washed away. The site concludes that last December’s Typhoon Jasmine “upset Vietnam’s calculations” by “blowing away” its artificial islands. A rebel fighter fires towards pro-regime forces during clashes in Sheikh Najar area of Aleppo. The Assad regime has sought to pit rebel groups against each other, in order to emerge victorious. At least the talks have started. Merely getting the various parties to the civil war in Syria to sit down in the same building has been a qualified achievement. Getting them to sit together in the same room will be harder. The entire diplomatic track for the Syrian peace talks has revolved around the idea of small gains: that making deliberate, incremental steps towards a distant goal is progress. But there is a fundamental flaw in this thinking and its locus is the presidential palace in Damascus. The Assad regime has never accepted the distant goal towards which the peace process is moving. It has been persuaded by Russia, its backer, to walk the path – but in the background it is ensuring that the talkers never reach their destination. A Kurdish proverb states that “Kurds have no friends but the mountains.” Over the centuries, the Kurdish nation has suffered at the hands of competing great powers, who play factions of Kurds against each other in regional struggles. In an effort to escape such exploitation, the Kurds have frequently fled to fringe areas outside of government control. This traditional escape is referred to as “going to the mountains”—a phrase that’s more than just a euphemism. 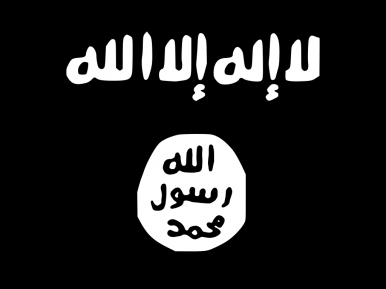 However, the rise of the Islamic State (IS) may lay the groundwork for a Kurdish state by soothing the Kurds’ factional divisions. It has also helped raise Kurds’ autonomy within their host countries. The agreement to limit Iran's nuclear program—one of the most significant achievements in recent years on behalf of nuclear nonproliferation—deserves ample attention and effort to preserve it. Preserving the accord will require much attention and effort, given that many of those who strove to prevent the agreement from ever being completed or implemented are still trying to kill it. A U.S. presidential election year is a fertile time for the agreement-killing efforts, with several presidential candidates on one side of the political spectrum trying to outdo each other in flaunting their anti-Iranism by promising if they take office to renounce the agreement outright. 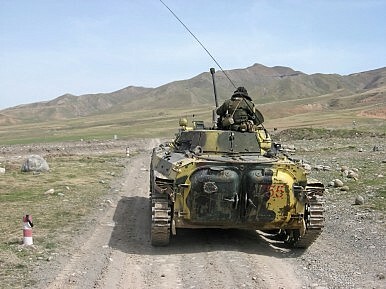 Tajikistan’s 1,344 km-long border with Afghanistan has been a noticeable source of worry for both the region and Russia. 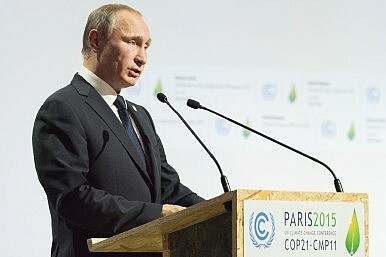 Over the past year, Russia has helped parlay that worry into action of a sort. The Collective Security Treaty Organization (CSTO) has held several exercises aimed at facing off a veritable invasion from the south. Part of that flurry of worry was the announcement last April that Russia would grow it presence in Tajikistan from 7,000 to 9,000 troops by 2020. The United States must put human rights first in its relationship with Cambodia, an opposition lawmaker told an audience in Washington, D.C. Wednesday. 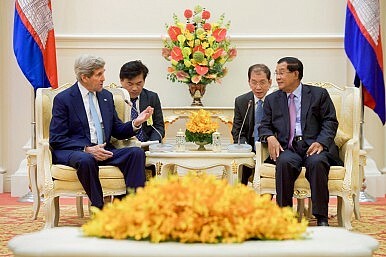 U.S.-Cambodia relations have been in the spotlight in recent weeks, with U.S. Secretary of State John Kerry visiting Phnom Penh in late January where his discussions with officials including Prime Minister Hun Sen included boosting bilateral economic ties as well as human rights and democracy concerns. Cambodian officials have been looking for opportunities to further open U.S. markets to Cambodian exports, particularly with the country being left out of the U.S.-led Trans-Pacific Partnership which could erode its competitiveness. Hun Sen will also be attending a special U.S.-ASEAN leaders’ summit in Sunnylands, California later this month. But Chamroeun Nhay, one of two opposition members of parliament (MPs) who were dragged from their vehicles and savagely beaten outside the National Assembly last October at a protest led by a group aligned with the ruling Cambodian People’s Party (CPP), said that Washington should ensure that the Cambodian government respects rights before attempting to boost ties with the country, including through greater trade and investment. With the signing ceremony in Auckland, New Zealand today, the Trans-Pacific Partnership has taken a significant, although symbolic, step forward. 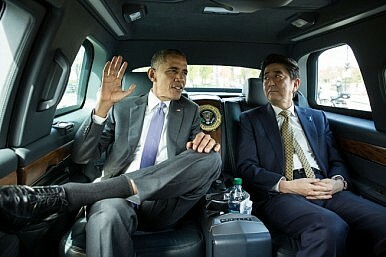 The text agreed upon in October 2015 was reached after five years of formal negotiations, which themselves grew out of U.S. negotiations with the four members of the Trans-Pacific Strategic Economic Partnership Agreement (Brunei, Chile, Singapore, New Zealand). The TPP includes 12 states (Australia, Brunei Darussalam, Canada, Chile, Japan, Malaysia, Mexico, New Zealand, Peru, Singapore, the United States, and Vietnam) which together represent nearly 40 percent of global GDP and a third of world trade. The agreement is perhaps the most comprehensive, if not longest, free trade agreement ever concocted. What might the consequences be if Russia decided to reclaim the territory of the three Baltic republics — Estonia, Latvia, and Lithuania — which are NATO members? What might be done to prevent or mitigate such a scenario? Russia's recent aggression against Ukraine has disrupted nearly a generation of relative peace and stability between Moscow and its Western neighbors and raised concerns about its larger intentions. From the perspective of the North Atlantic Treaty Organization (NATO), the threat to the three Baltic republics of Estonia, Latvia, and Lithuania — former Soviet republics, now member states that border Russian territory — may be the most problematic of these. In a series of war games conducted between summer 2014 and spring 2015, RAND Arroyo Center examined the shape and probable outcome of a near-term Russian invasion of the Baltic states. The games' findings are unambiguous: As presently postured, NATO cannot successfully defend the territory of its most exposed members. Fortunately, it will not require Herculean effort to avoid such a failure. Further gaming indicates that a force of about seven brigades, including three heavy armored brigades — adequately supported by airpower, land-based fires, and other enablers on the ground and ready to fight at the onset of hostilities — could suffice to prevent the rapid overrun of the Baltic states. ALMATY — Russia plans to reduce troop numbers at its military base in Tajikistan, a Russian defense ministry spokesman said on Thursday, another move that suggests its political influence in the Central Asian country and wider region may be waning. The surprise development comes less than two months after Russia pulled back a motor rifle regiment from an area close to the Afghan border, which it said it had wanted to reinforce, to Dushanbe, the Tajik capital. The decision to cut troop numbers – whether voluntary or not – will be seen as a setback for Russia, which is facing increasingly tough competition from the United States and China for diplomatic supremacy in Central Asia, whose strategic location and natural resources make it a prize. A Russia-based spokesman for the Central Military District said the Russian military group in Tajikistan, a former Soviet republic, would be scaled down to become a brigade rather than a division. America and the European Union have reached a deal on data protection, But Is Europe Safe From the Eavesdroppers? NAIVETY and paranoia mark the European Union’s attitude to espionage. The EU does not have a spy agency, nor does it have access to the intelligence collected by its members and their allies. That has advantages: EU decision-makers need not worry about keeping secrets (because they do not know any); nor must they grapple with the legal and political practicalities of intelligence oversight—such as what access spooks have to private data. The downside is that they do not see the benefits of espionage, and have a lurid fear (mixed perhaps with envy) of what spy services, particularly American ones, get up to. Yet it is the European Parliament which votes on data-protection rules, the European Commission which negotiates agreements with other countries, and the judges of the European Court of Justice (ECJ) who have the final say on whether those deals meet the right standards. And in October 2015 the ECJ, on the advice of the Commission and to the applause of many parliamentarians, upended the “Safe Harbour” agreement which for the past 15 years had allowed foreign companies to store Europeans’ personal data on American computers. Will Iran License-build Russia’s T-90S Main Battle Tank? The Russian company Uralvagonzavod, the world’s largest main battle tank manufacturer, has proposed to organize the licensed production of the third-generation T-90s main battle tank in Iran, once restrictions on military cooperation between the two countries are lifted, TASS reports. Uralvagonzavod’s deputy director general, Alexey Zharich noted that his company suspended cooperation with Iran to abide by United Nations Security Council Resolution 1020 of June 9, 2010, which imposed an arms embargo on Iran. 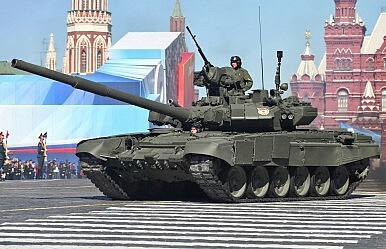 “But if restrictions on military-technical cooperation with Iran are lifted, the corporation together with Rosoboronexport (arms exporting company) is ready to continue cooperation, in particular, on the licensed production of the T-90S tanks, modernization of the T-72S tanks and their production capacities,” Zharich said. 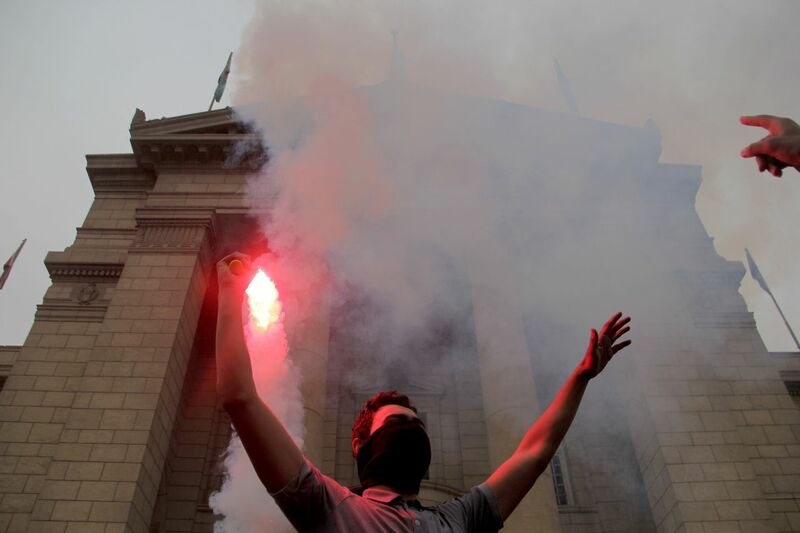 Egypt's Interior Ministry admitted last week that at least 3,462 university students are currently imprisoned in Egypt. As Middle East history professor Howard Eissenstatnoted, that's more than the entire student body of some US colleges, including Vassar, Swarthmore, and Amherst. So why are an entire college's worth of students locked up in Egyptian prisons? It's all part of Egyptian President Abdel Fattah el-Sisi's expanding crackdown on dissent after the Arab Spring. Human rights activists have given alarming accounts recently that the Sisi regime is "disappearing" hundreds of people — that is, illegally detaining and holding them in secret locations, where they are often tortured. THE EUROPEAN Union and America have reached a deal on data protection. The “EU-US Privacy Shield” allows companies to store Europeans’ personal data on American computers. This ends a three-month hiatus since the European Court of Justice struck down the previous agreement, “Safe Harbour”, on the grounds that it gave insufficient protection against snooping by American spy agencies. Failure to reach a deal could have sparked a damaging legal spat, in which some European national data protection agencies could have ruled illegal all transfers of data across the Atlantic. A transatlantic gulf separates ideas about data privacy: EU law sees it as a cherished human right; in America, it is more about consumer protection. Moreover, America’sNational Security Agency (NSA)—the biggest and most powerful electronic-intelligence agency in the world—sparks fears in Europe of untrammelled snooping. The EU has no intelligence agencies of its own—so the tradeoffs between security and privacy which exist at national levels (where spymasters cooperate gladly and gratefully with the NSA) are invisible. Caught in the middle are the internet and technology companies: big ones could set up Europe-only data centres; small ones might find that doing business across the Atlantic was just too much trouble. A “Data Mining Research Problem Book” marked “top secret strap 1” has been leaked that details some of the key techniques used by GCHQ to sift through the huge volumes of data it pulls continuously from the Internet. Spam is the bane of the internet, flooding inboxes with offers of viagra pills, get-rich-quick schemes, or the promise of love with a mail-order bride. According to newly published documents, even Government Communications Headquarters (GCHQ)—the UK’s signals intelligence agency—has a problem with junk emails. Dated September 2011, the 96-page “HIMR Data Mining Research Problem Book” lists its authors as researchers from the Heilbronn Institute for Mathematical Research (HIMR). HIMR is a partnership between GCHQ and the University of Bristol, and supports “research across a range of areas of mathematics in the UK,” according to the university website. In the document, researchers “set out areas of long-term data mining research,” all of which “are about improving our understanding of large datasets.” The section on the spam problem is just one small part of the document, which is marked as UK TOP SECRET STRAP1 COMINT, and only to be viewed by appropriate officials from Five Eyes member countries. Torrents of “advice for a new president” buffet newly elected chief executives. Op-eds, learned journal articles and think-tank briefs galore hold forth on matters great and small. Here’s another thimbleful of counsel for the surge gushing Tsai Ing-wen’s way. When it comes to Taiwan’s maritime defense, President-elect Tsai must accentuate the positive things incumbent President Ma Ying-jeou has done. And she must play up the positive while eliminating the negative. Tsai is in a strong position to do so. The Taiwanese electorate awarded herDemocratic Progressive Party control of not just the Presidential Office but the Legislative Yuan, the island’s lawmaking body. Electoral triumph thus equips the incoming president to put her imprint on Taiwan’s maritime strategy. If she makes the effort. Contrary to civics classes, even presidents don’t get their way just by issuing edicts to governmental bodies.